Here’s an important post just in time for your New Year’s Eve partying, learn to impress your friends with fancy layered drinks and throw some flair into your mixing. When layering it is important to know the physics behind it, heaviest/densest stuff at the bottom, lightest at the top. 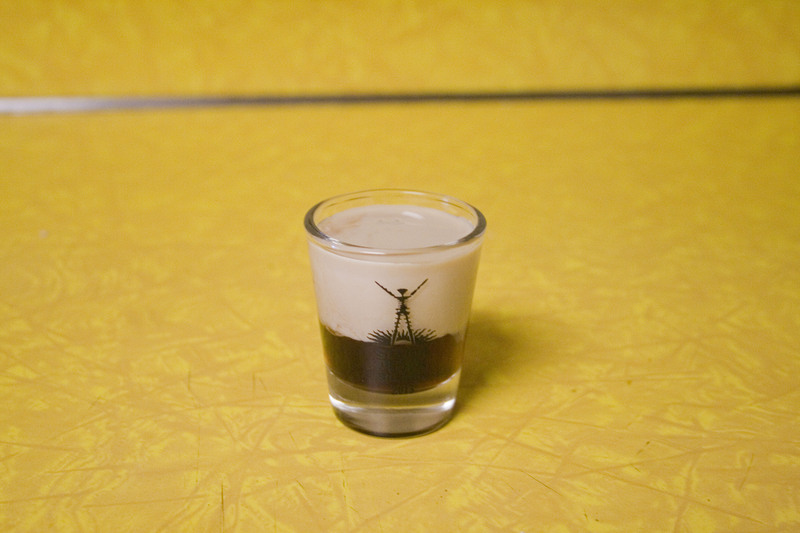 I’m using a shooter called an Irish Truffle as my example for this post. This drink goes by many names and usually has other crap in it also. The original way it was presented to me was just Chambord and Irish Cream in a 1-to-2 ratio of those, and as a layered shot versus a shaken cocktail. 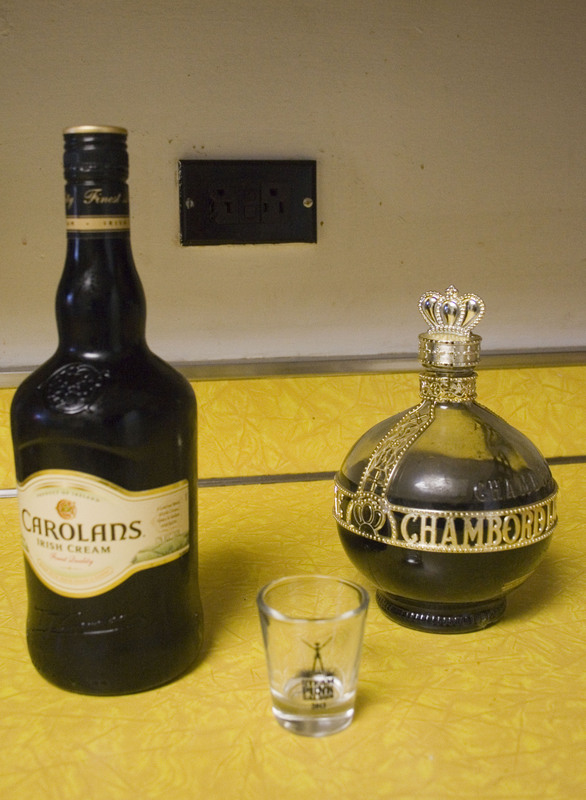 Irish cream to the left of me, Chambord to the right, here I am stuck in the middle with you. There is a trick to layering drinks, all layered drinks from a black & tan to multi-layered cocktails. That trick is using a wide spoon upside down to cause the liquid to break over a larger surface area with less force, lowering the chance of you messing up the layers. I have layered without using a spoon before but that is much harder and not to be expected. Who doesn’t like a little spooning sometimes? If you did it right your end result should look something like this. If you want to glam it up some more you can easily a layer of a clear alcohol at the top, like vodka, cognac, rum, or schnapps. 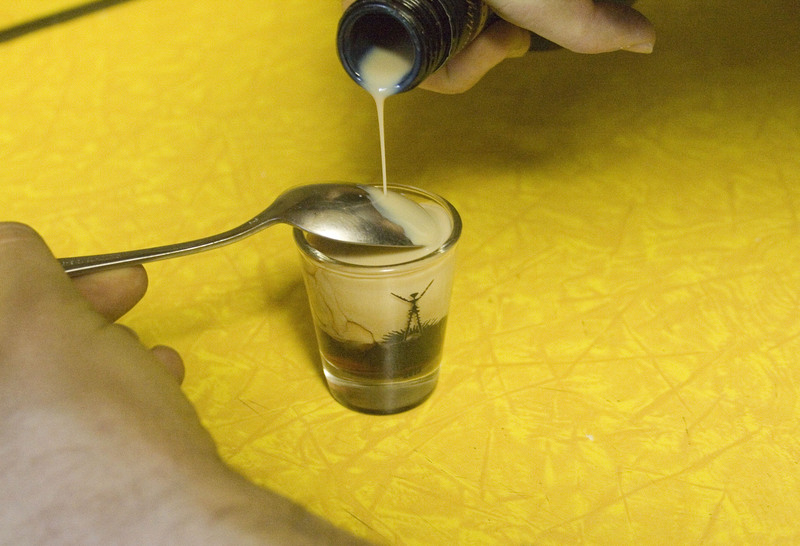 Shotglass courtesy of The Steampunk Saloon, Black Rock City 2013. I hope you enjoy and have a fun and safe New Years Eve.